Jarret Mallon began his association with TexARTS as an actor in the professional	productions of MIDLIFE! The Crisis Musical and [title of show], which	was named by	The Austin Chronicle as one of the Top 10 theatre events of 2011. In May of 2012, Jarret was	hired to coordinate marketing, communications, community relations and	special events for TexARTS. 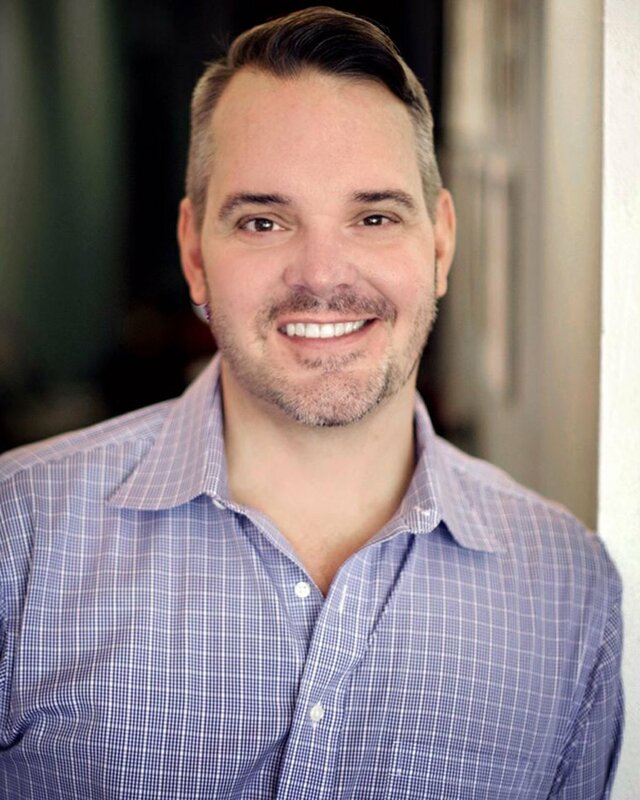 Mr. Mallon was promoted to TexARTS Executive	Director in 2015 and charged with bringing back professional theatre to	the Lake Travis region after a three season hiatus. Each season, the Professional	Series employs 100’s of professional actors, designers, directors,	choreographers, musicians, and technical theatre personals. In the past	two seasons, the TexARTS Professional Series entertained over 5,000 patrons	and included successful runs of “Ring of Fire: The Johnny Cash Musical	Show,” “Guys and Dolls,” “Steel Magnolias”	“And Then There Were None,” “My Way,” “A Few	Good Men,” and “The Marvelous Wonderettes.” Mr. Mallon	made his directorial debut with TexARTS’ “All Shook Up.”	He created and produces the TexARTS annual holiday cabaret “A Cool	Yule,” now in its fifth year. Mr. Mallon is a member of Actors’	Equity and has worked professionally throughout the United States, most	recently performing the title role in The Will Rogers Follies at Arizona	Broadway Theatre. For that performance, he earned a Zoni Award for Theatre	Excellence nomination for lead actor in a musical. Jarret played Corny	Collins in the U.S. National Tour of Hairspray which opened in Austin	at the Bass Concert Hall. Jarret played “Corny” in over 600	performances while traveling throughout the U.S., Canada, Japan and China. His NYC/Regional Theatre credits include: Casa Manana; the New York Musical	Theatre Festival; West Virginia Public Theatre; Dallas Summer Musicals;	Kansas City Starlight; The Grapes of Wrath and Rockin Christmas Party	at Zach Theatre; Will Rogers in The Will Rogers Follies at Broward Stage	Door Theatre (Carbonell Award Nomination); Caleb in The Spitfire Grill,	Joe in Merrily We Roll Along and The Robber Bridegroom at Mary Moody Northen	Theatre; Sky in Guys and Dolls at Austin Playhouse; Bobby in Company;	Street Lives at Vermont Playwrights Circle; the Emcee in Cabaret; Berger	in Hair at Provincetown Playhouse; Zach in A Chorus Line at Fredrick Loewe	Theatre; Willie Conklin in Ragtime at The Skirball Center of Performing	Arts and Smokey Joe’s Café at The Allenberry Playhouse. Jarret	served as the founding Program Director for the Texas Musical Theatre	Workshop from 2011 – 2015, a summer intensive which is sponsored by the	UT Department of Theatre and Dance. He holds a Master of Arts in Vocal	Performance (Musical Theatre) from the New York University Steinhardt	School of Education, a Master of Arts in Interdisciplinary Studies (emphasis	on Mass Comm, Theatre Management and Higher Ed. Administration) and a	Bachelor of Arts in Public Relations from Texas Tech University. Prior	to his career in theatre he served as the Assistant Director of Admissions	and School Relations at Texas Tech University.